Using big data is very common amongst Ecommerce companies. The hugely competitive market has engrossed ecommerce business companies to research as to what are the various tactics followed. Currently, usage of “big data” is one such tactic followed widely by ecommerce companies. Big Data is all about using huge datasets in order to figure our each and every consumers need and accordingly catering them with customized service and suggestions that they came looking for in the site. In order to figure out the customer data, 3 required things are- collection of data, examining the collected data and then presenting the accumulated information, and finally detecting the current trends in order to support the ecommerce company to take a proper step. It would be impossible for a single individual to attain all of it. Thus, it is necessary to form an efficient team of data scientists. They would be capable of accomplishing all the necessary data requirements. Besides the data scientists, there would also be the need for scalable databases. To support the business to grow, it is very important to have a strong system. Only with a strong system and processes it will be possible to manage the rising business load. If the system is weak, it will crash when the load increases and all data will be lost. For handling the business finances, huge Excel spreadsheets won’t work as the central database. In this case, hiring a person expert in designing a robust system becomes a necessity. According to an employment site, a data scientist in LA, USA makes approx. $70,000 – $115,000 per year and taking into consideration that you need to hire an expert designer who would charge quite a huge sum, this option turns out to be expensive. If you own a small business, this is a costly affair for you as financial turnarounds take time. In this second option, you can opt to outsource all your Big Data requirements. This method facilitates a retailer to take the aid of firms, allowing them to crunch the numbers and generate insights. By doing so, the retailer can concentrate entirely on selling the commodities, heeding to all the customer needs and in turn increasing the business. This is a very good option to pick if you are looking for Big Data solution for a small ecommerce business. Outsourcing is a lot cheaper that hiring expert data scientists. Basically, the entire cost of outsourcing depends on the different types of data and also on the amount of information contained in the data that need analyzing. Do not rush into selecting a company that you feel is capable of meeting all your requirements. First, ask some valid questions such as- whether you are tracking on-site behaviors or if you only need to analyze the list of email subscribers, or you need the social media data to be analyzed as well and such other questions. If you are running your ecommerce business on a tight budget and cannot afford to hire a team of data scientists nor do you want to outsource your data needs to another company then this is the best option for you. This is a method by which you can use some easily available tools that are quite cheap. Some of these tools are accessible for free as well. You can pick the tool you need and use it to fulfill your ecommerce business Big Data needs. KISS metrics, Crazy Egg and Google Analytics are the name of few such tools. With these, you can not only track down your site visitors and customers but also can build promotions to serve your consumers in a better way. But using such low-priced tools has a disadvantage. By using these tools, you can only fulfill a limited need for your business but not an all-round one. These tools are incapable of helping you figuring out the needs of your consumers at a complex level. Moreover, you may face huge difficulty if you wish to build one-to-one campaigns. These tools are insufficient of incorporating data from different sources such as mobile, email, social sites, etc. But if you are planning to begin your ecommerce business with a low budget, then these tools can be really useful. To sum it all up, it is very essential to understand your data. The cost of understanding data might charge you a good amount, but if you risk not spending that amount, then you would end up spending a larger amount in future. To take your ecommerce business to heights of success, it is a must to harness Big Data. 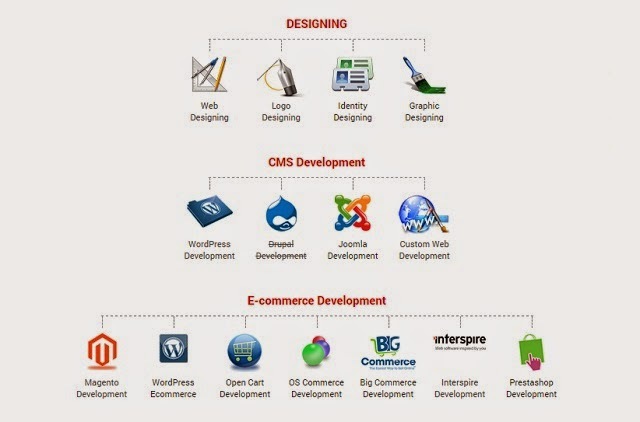 EyeForWeb is a web design company which regularly posts Information Technology related content for its readers.